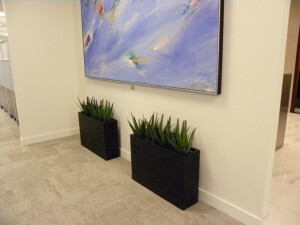 Would you like to have tropical plants in your office but concerned about the ongoing cost of maintenance? Artificial plants are a very realistic alternative! 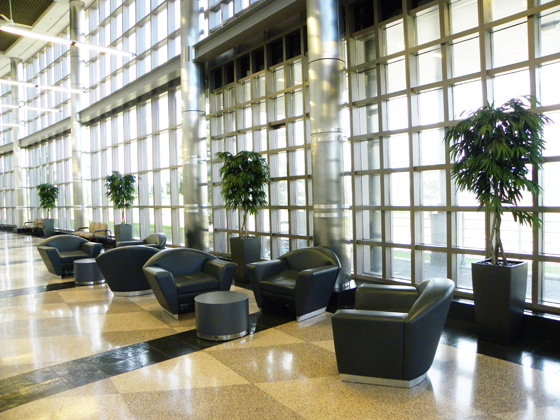 We have designed plantscapes consisting entirely of artificial plants for offices in Toronto, Mississauga, Brampton, Vaughan, Richmond Hill and Markham. Our clients have been pleasantly surprised by the result. 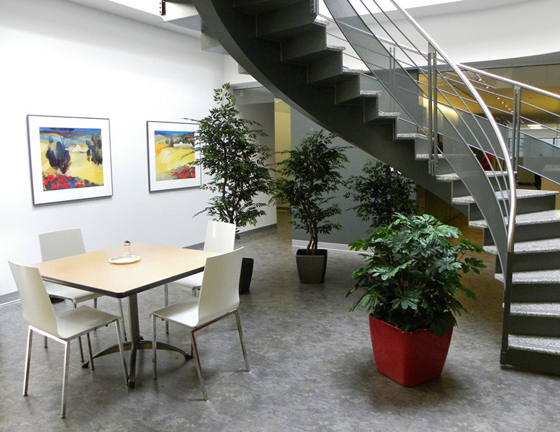 We use only high quality custom replica trees and plants supplied in unique planters chosen to compliment the decor of the office. High quality planters elevate the quality and realism of these plants. The same containers that are used for live plants can be used for artificials. Replica cacti and succulents are the latest trend. These are available in many styles and colours and look fantastic when used in large mixed arrangements. Mixed tropical foliage and flower arrangements can brighten the darkest boardroom. Can be used to add greenery in dark areas where there is not enough light to sustain live plants. Great idea for frequently occupied meeting rooms where access to a live plant for maintenance may be an issue. Flexible choice. Quality artificial plants are custom made to any size in dozens of varieties. Choose from table-top plants, hanging plants, floor plants and trees from 3ft in height to 15-20ft. Add colour! Artificial orchids and other flowers look very elegant on a reception desk. Often an office plantscape will consist of both live and artificial plants. If the replica plants are high quality, most people will assume all the plants are live. We will clean and maintain your artificial plants while we are servicing the live. We also offer service plans for artificial plants; we can come in monthly, quarterly or annually to clean and reshape your artificial plants. Have a look at the images. These are just a few examples of our artificial plants. Click on our portfolio page to see more.